This is it: A one-act cleanser for bath time that pleases protective parents, with added "wow" power for fun-loving kiddos! Using gentle, natural botanicals, Hip Peas Shampoo & Body Wash soothes and moisturizes skin and leaves hair soft and shiny. And while there’s no room here for artificial fragrances and colors, kids dig the signature scent of our calming natural blueberry extract. 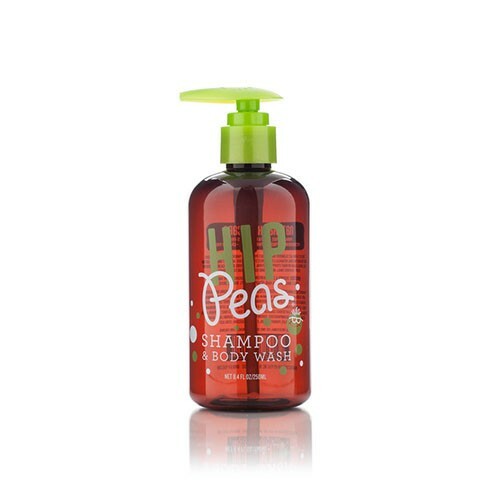 For best results use Hip-Peas Conditioner after washing your kiddo’s hair.